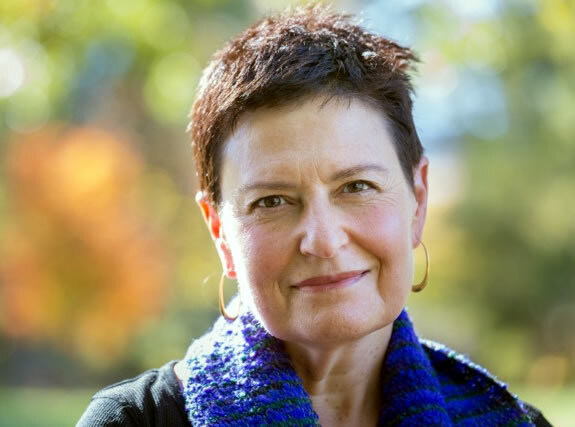 Histamine, Methylation and MTHFR | Judy Tsafrir, M.D. In October 2014 I attended a training for physicians offered by the Walsh Research Institute, where I learned about the use of vitamins and minerals to treat psychiatric conditions. Based upon the teaching, I ordered laboratory studies on myself, as well as almost all of the patients in my practice, and prescribed protocols to correct the imbalances revealed by blood work and urinalysis. Now, eight months later, I am starting to see the results, and am very impressed. I feel better than I ever have, and a number of my patients are also feeling remarkably well since being on the protocols for three or four months. Now we will begin a slow taper of the psychotropic medications that some of them have been taking for years, and determine if it is possible to stop them or at least to reduce the dosages. That is our goal. In my last blog post, I wrote about a condition called pyroluria that is correlated with many psychiatric symptoms. This post will address two other imbalances that Dr. Walsh taught me about, over and undermethylation, both of which cause a great deal of suffering. Methylation is a vital foundational biochemical process in the body, involved with the detoxification of heavy metals, regulation of gene expression and protein function, and central to the synthesis of neurotransmitters, the chemical messengers which mediate mental and emotional states. Imbalances in methylation status result from genetic defects in the enzymes which regulate the process of methylation. In the past few years there has been a great deal of interest in genetic testing, and in particular, the role of the MTHFR gene. A genetic defect of the MTHFR gene can result in a malfunctioning MTHFR enzyme, which can affect methylation. There is a common misconception, however, that the mere presence of an MTHFR mutation is synonymous with a methylation defect. This is by no means necessarily the case, even if an individual is homozygous for the gene. The presence of the defective gene does not necessarily translate into a functional defect. In fact, the recent wide spread indiscriminate prescription of methylfolate to compensate for the genetic mutation is not only misguided, but can actually make low serotonin people who are undermethylated not only feel much worse, but also increase their risk of developing cancer. In order to determine the actual functional methylation status in the body, whole blood histamine must be measured. Histamine levels correlate with the functionality of the methylation process. Histamine and methyl are inversely related to one another. That is to say, if whole blood histamine is low, the individual will be overmethylated and if it is high, they will be undermethylated. The protocols to treat the two conditions are different. As I have gained more experience asking patients about their symptoms, I have begun often to be able to accurately predict what the lab studies will reveal. No one has all of the symptoms, and sometimes it can be confusing, as a person will have symptoms or traits of both conditions. Methylation defects take three to four months to correct, and longer in people with the blood type A. The protocols do not correct the genetic defect, and thus need to be taken indefinitely. I was interested to learn that many foods typically considered super healthy, such as leafy greens and avocados, and other foods that are high in folate are not beneficial for low serotonin undermethylators. Multi-vitamins, which typically contain folic acid, are also harmful to those who are undermethylated. If you would like to learn more about why the mere presence of an MTHFR mutation does not necessarily correlate with actual functional methylation status in the body, the following lecture by Dr. Albert Mensah provides a more thorough explanation. My teenage son, age 15, suffers from ADHD and ODD. He is smart, outgoing, musically talented and defiant. He can focus fine on what interests him, but for the rest of schoolwork and housework, he is not motivated and not focused at all. Both he and I are homozygous with MTHFT 677TT. He has been taking 800 mcg of methylfolate, his B 12 is fine. His blood folate level was over 40. He takes allergy immunotherapy drops for dust mites and pollens but has never had serious issues with allergies. He also takes omega supplements. We just started giving him Bacopa drops. There is no medication that seems to help him with motivation, executive functioning, focus and listening, we have tried them all.He also is not self reflective and does not think he has any issues, despite hearing reports back from school over the years of talking too much and disrupting the class. He goes to a therapist and he is currently taking 60mg of strattera which seems to somewhat slow him down a bit.I believe that we can look deeper to see if he has any deficiencies? Do you feel it would be beneficial to have deeper blood/urine testing done and if so, what tests would you recommend? I would love to look further into this before the start of school. Dr. Walsh’s nutrient protocols are often effective for treating ADHD and OCD. I would look on the Walsh Research Institute website and click on clinical resources and find a Walsh trained practitioner in your area. They may be able to help. Those with OCD are often undermethylated. I wish you all the best. Dr. Tsafrir, where can I learn more about the reason for leafy greens being a problem for under methylators? Are green veggies still a problem even after methylation has been corrected with supplements? This would not apply to all undermethylators but to those undermethylators who have symptoms of depression and anxiety. Many people who are undermethylated are asymptomatic. Dr. Walsh says that there are many people who are undermethylated and function and feel well. You would never know except if they get tested. The theory about not overdoing the leafy greens would be that folate is not recommended for undermethylators with symptoms of low serotonin such as depression and anxiety. Leafy greens are a good source of folate. That being said, leafy greens are absolutely contraindicated for even undermethylators with symptoms of low serotonin. They should just not be eaten in huge quantities. I hope that helps. Dr. Tsafir, what is helpful for low serotonin undermethylators? We’ve been gradually increasing my methylfolate while weaning me off SSRIs. I’ve only been on them a few months, was never depressed before last spring. It seems like every time we increase my methylfolate dose, I do a amazing for a few days and then I start to gradually go downhill again. I’d appreciate any suggestions or a phone consult if you offer those. Hi Jennifer. Dr. Walsh has a protocol of nutrients that is helpful for low serotonin undermethylators. I am not permitted to consult long distance. I can only see patients in my office in Massachusetts. I suggest you do to Dr Walsh’s website and click on this link that is Clinical Resources and enter your geographic area and find a practitioner who is local to you. https://www.walshinstitute.org/clinical-resources.html. I wish you all the best. I realize this is an old post but hopefully you’ll see this. I have take methylfolate/b12 as needed for years. This past month I took it on 2 occasions about 3 days apart which resulted in horrific anxiety and panic attacks(I’ve never had anxiety before this), heart racing, diarrhea, and I lost 10 lbs. I went through 2 weeks of torture. I finally felt free of it and then ate some spinach and symptoms returned! I have had blood work done with my DO but haven’t had results yet and am looking into finding a Walsh trained practitioner. This has really wrecked my life and I’m the mother of 3 small children. Do you have any suggestions during the meantime to help get the folate out of my system and return to normal? I am really struggling. Thank you. I recommend DNRS to my patients when their autonomic nervous system is over stimulated. It’s a mind body approach and it stands for Dynamic Neural Retraining System. The originator of the technique is a woman named Annie Hopper. There is an interesting podcast which you can find where she tells her story and how she helped herself and developed her approach. It’s not a quick fix and requires diligence but is very effective. I wish I had magic to offer. My husband is over-methylated and niacin is really helping him a lot. I tried giving him a B12/Folate supplement and he had a really bad reaction to it, causing him to get overly excited and really aggressive, worsening his symptoms of psychosis. Why do you think this could be? I don’t know the answer. Perhaps someone with a more in-depth grasp of the biochemical pathways could answer. Since your husband is an overmethylator, it makes sense that the Niacin will help him, as this acts as a methyl sponge. You state that giving him a B12/Folate supplement caused an adverse reaction. Overmethylators are typically low in Folates and B12 in the right form may be a good adjunct, however here are a few possible pitfalls. #1 what form of these supplements did you try? Methyl Folate? Methyl cobalamine or other? Try administering Folinic Acid at 800mcg 1x a day as this form of folate must use a methyl molecule to become methyl folate, thus reducing his excess pool. Hello! I just stumbled across this page because I’m searching for answers on methylation and I have a question for you. My histamine level is 65. My practioner thinks I’m over methylated and wants me on B12. We tried hydroxy B12 and it knocked me flat. We then tried methyl B12 and it was better than the hydroxy but overall it increased my symptoms of fatigue, depression, anxiety, trichotillomania, food intolerances, vitamin/mineral intolerances. My practioner wants to add folate to the B12 but I’m scared of it. I’m starting to wonder if it could be under methylation instead. What do you think? I do not know. Sometimes its unfortunately a matter of trial and error and monitoring how you feel. If your histamine level is 65 nanograms per milliliter, (ng/ml) then your level is on the high side of normal. Carl Pfeiffer, MD found that the normal range for histamines is 40 to 70 ng/ml. A person who has high histamines is under-methylated, not over-methylated. A person whose histamine level is under 40 ng/ml is over-methylated. 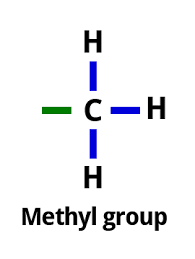 He/she has too many methyl groups in his system. It doesn’t look like you have a methylarion problem. I suggest you look into your copper, zinc and ceruloplasmin levels. Dr. Walsh’s book, Nutrient Power, is pretty good. And if that’s normal, and you have mental-emotional synptoms you would want to check out pyroluria, thyroid, food sensitivities, yeast, and everything else you may run into researching this. I wouldnt start grabbing at straws with methylation if you dont have any positive test results, as its very complicated. Make sure you didnt take any antihistamines before your test and find a practioner that knows what they’re doing, because I think yours is in the novice category with this. Is nail biting linked to parasites? Not the transmission but a symptom? Hello. I am a nurse practitioner and also a massage therapist specializing in NMT targeted spasm release. Essentially, I have very strong manifestations, which are decreased with l-methylfolate 15mg qd and methylcobalamin 1mg bid. I am on numerous other medications as well. I have never had a histamine level checked, but clinically I’m 100% sure it will be elevated. (I’m allergic to everything, and I get hives frequently from many things: physical, emotional, if I get too hot, etc). Recently I have been having increasing nausea, clumsiness, and mild cognitive issues (short term memory loss- I can only function if I literally write down every thought I have). Do you think I could have low copper? I am about to start p5p, in the hopes that I will begin to have symptom resolution. It could be so many things. When I hear something like clumsiness or anything neurological I always wonder about mold toxicity. I am confused and hoping you can shed some light! I am compound heterozygous MTHFR and recently decided to have my whole blood histamine test to determine over or under methylation status. My result through DHA Labs and Lab corp came back at 76 which in relation to the Walsh/Pfeiffer functional range of 40-70 means it is high which means I am undermethylated – correct? If that is correct, therein lies the confusion. Symptomatically, I see many more indicators of overmethylation which is why I had the test in the first place – to clear this up but I am now left more confused! I understand your confusion. Its important to look at both the lab tests and the history. Neither of them should be considered in isolation. You are undermethylated in terms of what your lab work showed, but I think that the fact that you have more symptoms of overmethylation means that its not clear which of the protocols would be more helpful to you. I would recommend that you work with a clinician who is trained in the Dr. Walsh’s method, and see how you respond clinically to one or the other of the protocols. I think you need someone with expertise to help you in person. It sounds complicated. I often associated athritic symptoms with food intolerances. In your otherwise very informative post , you mention how some undermethyltors have “good response to ssris” and overmethylators respond well to benzodiazepines. ?????!!!! SSRIs and benzos are LOBOTOMIZERS. There is no safe dose of either. There is nobody who benefits from these compounds ! Instead of taking the pill-chuckers advice , these patients would actually heal if given the OTC forms of Lithium (orotate/aspartate). Even the worst form of Li –the prescription carbonate — is far better than anything else the psychiatric / industrial complex pushes .Li will stabilize brain electrical output , enough so the patient can taper off their prescribed poisons W/O GOING INSANE IN THE PROCESS. Is there a thyroid and lithium use issue? I recall reading that taking lithium will create thyroid issues? Is lithium oratate different than lithium carbonate in a that it does not change thyroid function? My reply is more of a question than stating facts. David, that’s great that you have an opinion, but your “prescription” is unrealistic and overly general. I, for instance, have a years-long, complicated case which includes OCD, anxiety, and horrible phobias. Supposedly I am an “undermethylator” but I can’t tolerate SSRIs in the least. Lithium Orotate doesn’t even begin to touch my symptoms, and it didn’t “help me heal” even after taking it consistently for a year, at which time I had to go back to Carbonate and Benzos. The test is called whole blood histamine and I order it through LabCorps. Hi Nilli, there is a clinic called Nutriheal in Delhi thay does methylation testing. I got mine done from Genesupport lab based in Pune. It will cost you between 15-20000 rupees. Hello, would anyone know of a lab in Pakistan that offers Whole Blood Histamine test (or any lab that will take specimens and send to an international lab from Pakistan)? Would greatly appreciate any information. Thank you. I am homozygous for MTHFR 677, have pyroluria, low histamine, low homocysteine, very low triglycerides, and find that I have symptoms of both under and overmethylation. Ive never been overweight and can’t if I try! With the exception of not having seasonal allergies and having chemical and food intolerances, I seem to have more of the undermethylation symptoms. I recently learned about the pyroluria, so have been supplementing for that with mostly positive results. I don’t know what to do with the low histamine though, as I have repeatedly been intolerant to folate, despite trying in various ways (with other supps) and several times. I have a knowledgable naturopath and another practioner who have helped me, but I figured it doesn’t hurt to ask you if you might have any thoughts! It has been a very long journey and though I feel we’ve narrowed in in the causes, I’m increasing weary….. thanks for any help. Its more important to treat the way you feel, rather than to focus on the fact that your histamine is low. Are you still symptomatic? There are so many causes of not feeling well, like gut dysbiosis and infections, endocrine dysregulation and toxicity. If you not feel well with folate, then its not for you. 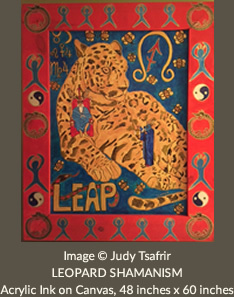 I find that mind body spiritual practices make a huge difference for myself and my patients. Thank you for your reply to my questions. I do generally feel better without the folate, but at times I do wonder if I need it, as it has been helpful. While I was on it, for instance, my chemical sensitivities were markedly reduced. Other subtle (but significant all at the same time!) improvements were noticed in my emotional/mental health. These didn’t last long, as my negative reactions (body on overdrive symptoms) would quickly come. Generally, while I was trying to take methyfolate more consistently, there were these short windows of feeling less “perfectionistic/OCD” and the irritability and anxiety that can accompany this. The pyroluria treatment has helped with general irritability, but it doesn’t help with the OCD aspect. Also, oddly, my tolerance for greens has been significantly reduced since experimenting with the folate. There was a season where I couldn’t leafy greens at all, as I would get violently sick and vomit for hours until it was all out of my system. That didn’t happen at all before trying TMG and methyfolate. It is wearing off now and I can tolerate small amounts of salad, but it was very obviously connected to this supplementation. I didn’t vomit with the pills, so I’m thinking it was more related to histamine, not the folate directly. Lastly, we would love to have another child, which is the biggest concern with not tolerating the methyfolate. Perhaps I don’t need it, but that feels so risky, but then so does taking it if my body doesn’t tolerate it well. Do you have any resources/articles or insight that you give patients who are desiring pregnancy but don’t seem to tolerate methylfolate? Thank you for your help. I have not heard of that vomiting reaction. I do not have any resources to suggest but perhaps a reader may answer you. Can 24 hour urine N-methyl-histamine be used instead of whole blood histamine? Thanks! I only know about using Whole Blood Histamine, which is the way I was taught by Dr. Walsh. I do not know, but perhaps another reader will be able to help you. I´m from Portugal, and as far as I know, in europe, you have just one lab in france doing the whole blood histamine test – which I don´t no the name. Although, I can say you that I´m being accompanied by dra Margo from Olive Tree Clinic in London – http://www.olivetreeclinic.co.uk – where they run this test as kryptopyrole. However, they have to send the blood draw to USA – to DHA lab. I went with my wife – she is Bipolar, I´m OCD – last January 16th to London and, this is funny, I just received the results tonight some hours ago. I’m confused. I got my whole blood histamine levels tested and it came back 489 nmol/L. The reference range is 180/1800, so I’m on the lower end and (I guess?) overmethylating, but when you translate that number to Ng/ML, it’s 153ng/ML, which is super high meaning I’m undermethylating. What the heck is going on? I am sorry, I do not know how to usefully comment. I use DHA laboratory which gives the results in terms of ng/ml. 153 ng/ml would indeed qualify as undermethylated, as Dr. Walsh’s normal range for whole blood histamine is from (40-70) Anything above that qualifies as undermethylation and below overmethylation. I am not familiar withe the nmol/L system or how that translates. On the Clinical Resources Pages of The Walsh Research Institute website, you could perhaps find a clinician in your area and consult with them, or work with someone who can consult on a distance basis. you have to scroll down quite a ways alphabetically to get to Histamine–but the basic conversion is to divide by 9 in the case of converting from nmol /L to micrograms/L. Oh, Amber, thank you for writing and letting me know. That is really good news. I am so happy that you feel better and are sewing again. That really says a alot. Your quick response to the supplements indicates that your pyrolle disorder must be really one of the main imbalances, because if it were they methylation or copper primarily, it would often take much longer. Many blessings to you. I am really sure I am overmethylated. I have horrible reaction to anti-histamine and do great when I take a small amount of benzodiazepines. SSRI’s make me even worse. I have suffered horribly for 2 years. It got so much worse after I had my daughter. Can you make a suggestion on how I can help myself naturally with foods? I am grain free and dairy free. I started 2 months ago after finding I had gluten sensitivity. I eat very healthy. Please offer any suggestion that may help. I would suggest finding a Walsh practitioner in your area who could prescribe a supplement protocol for you. Look on the resources page of The Walsh Research Institute where there is a list of practitioners. If you are over methylated then diet alone would be insufficient, though it’s terrific that you are already have a grain free and dairy free diet. That is a very important start. When you write that your condition got worse after the birth of your daughter, it makes me think that you may have elevated copper. People with this imbalance often get much worse after a hormonal event like menarche, pregnancy, giving birth, menopause or oral contraceptives. I find it very interesting that at the same time as there has been a real backlash among psychiatrists such as David Healy and too many others to name against the biochemical imbalance theories of mental illness pushed by the drug companies to generate sales, the alternative community seems to be strongly pushing other biochemical imbalance theories or explanations rooted in biochemistry and not the individual’s life (e.g. undermethylation, copper toxicity, the list goes on and on and on). Is there any evidence other than anecdotal for any of this? I am highly skeptical too of these sorts of symptom lists because one can find with an hour’s research dozens of biochemical explanations for any one of these symptoms, all offered with the same degree of assurance. I very much appreciate your comment and understand your perspective. Dr. Walsh has done laboratory studies on literally thousands of patients, measuring levels of zinc, copper, histamine, pyrolles and a few other substances the blood and urine, and has based his nutrient protocols on his experience correlating these deficiencies or excesses with psychiatric symptoms. He does not have the money to do the “gold standard” of double blind placebo controlled studies. I asked him about this, and he looked sad and frustrated as he said to me that there is nothing he would like to be able to do more, but these sorts of trials are unbelievably expensive and only affordable by large corporations such as pharmaceutical companies. As there is no money to be made with vitamins and minerals, there is no interest or support for doing this research. That being said, I want to address another issue that you are raising, and it is one that I think about alot, and plan at some point to write a blog post about. I believe that the testing for imbalances and prescribing protocols of nutrients is also a very primitive approach. I believe that the body is so complex and mysterious, that really we have no idea how all of it really works together. Also, the role of the micro biome is in my mind really at the heart of things. I am grateful for Dr. Walsh’s approach, because its the best that I have at the moment, and much preferable to pharmaceuticals. But I think that the role of karma, the ancestral history, the family of origin, political, social and cultural factors are all just huge in terms of creating psychiatric illness, in addition to life style factors and environmental toxicity. I do not think for one second that biochemical imbalances is the be all and end all. Its one small piece of the puzzle. And the Walsh approach is a technique that I am using at the moment because it seems to help and not do harm. I will abandon it the moment that I figure out something that works better. I have allegiance only to what I see helping my patients and myself. I hope that this feels like a good answer to the excellent points that you raise. This all sounds so helpful, & a little mind-numbing as to how to implement it all. My problem has been finding supplements I can tolerate, as they all seem to have excipients or sources that don’t work for me, except liquid minerals with no additives. B vitmamins are a real challenge, since I do not tolerate synthetics or food-based ones, which seem to be grain derived or come with additives of some kind, even the so-called “additive-free” ones. Great article!! I have been trying to figure out supplementation for my son’s methylation mutations for a few years, doing research and consulting with doctors and naturopaths. This is the first article I have found that has explained methylation STATUS. It has made all the difference in the world! Thank you. I am thrilled to find your site. I am a psychiatric NP and previously worked with Laura McDaniel who had worked at Pfeiffer Institute. She was well versed in Dr. Walsh’s work. I would love to learn more. Is the course only open to psychiatrists? In Minnesota NP’s have independent practice. I am in the process of taking over Wyndgate. I have had training with Great Plains Labs, Dr. Shaw and Dr. Woeller. There is such a need for integrative psychiatry. I would love to learn more from Dr. Walsh’s work. Hello Dee. Yes there is such need for integrative psychiatry. I would contact the Walsh Research Institute and see what they offer. There were many kinds of doctors there, family practice, functional medicine at the training I attended last October. I did not see nurses. But they definitely should offer training to nurses. Thank you for this! I thought that my whole family might have to eat low histamine forever! Not sure why we are all reacting right now, but I know methylation is involved. Perhaps the old house with mold, perhaps the new house/furniture with VOCs, perhaps because we have been eating lots of kale and have gone light on calcium and zero b-vitamins. I have found a doc here in Tennessee that I hope can help me! You are welcome. All the factors who mention seem plausible. I hope that you find the help that you and your family need. Blessings on the journey. Hi, Judy. Thanks, as always for the great info. Thanks much, and take good care. Hi Syd. The lab that I use, Direct Health uses a completely different scale than the one that you referenced. The normal range for histamine is 48-60 ng/ml. I would not know how to interpret your numbers. Sorry. Thanks much for the reply. It’s certainly not your job to evaluate my labs!! After an unsuccessful Google search, I was just wondering if you had an idea. But, you use a different lab. I’ll keep researching – and I’ll keep reading your site! It’s all super interesting – like peeling layers of a health onion! I like that health onion metaphor! My son is C677T homozygous and his histamine level was 30 4 months ago and now 59, does this mean he is improving or the other way around? The lab my naturopath uses has the range of 28-50, this makes 59 too high. Sorry, I do not know how to interpret the results. Maybe another reader will be able to help you. But you wrote your reference range is 48-60. That’s why I am asking. That is the range from the lab with which I am familiar. I believe that different labs likely have different reference range. Thank you, thank you, thank you!! I knew there was a connection. I have the MTHFR mutation and have been treated with various B’s (and folate) for the last 2 years. I have steadily declined for the last 18 months. I knew there was a connection somehow, as my B’s and folate are high off the charts and and my blood work is all messed up now. I am being referred to an oncologist hematologist. Can you suggest someone in the ‘upstate’ NY or northern PA area who can help me with this? I am willing to travel if there is anyone anywhere. So sorry to hear this. Check the practitioners page of the Walsh Research Institute and see if there is someone convenient to your geographical area. Hi Judy. Have you ever looked in to iodine deficiency? I’ve been looking pretty deeply for the last few months and it appears there is quite likely a connection between iodine deficiency, shortened telomeres, and the histamine response. Just a casual comment if you ever have the time to look in to it. I’m sure you’d be quite excited by the link-up of info. (I was! Been supplementing with Lugol’s for several months now. Outstanding effects. Will never be without it. This from a pyroluriac, AIP-practising, now finally happy, comfortable determinado. Thanks for writing. When I did the GAPS training, Dr. Natasha talked about iodine deficiency. She recommended painting iodine on the skin, and seeing if it absorbed over night and disappeared. If it disappears, then you are in need of iodine and should keep it up until it no longer vanishes. For kids she recommended painting faces or flowers on their bellies. I never really looked into it. I will. Thanks for mentioning it. So great that you are happy and comfortable! Yes- it IS so great.. 🙂 I never thought I would be for the first twenty-seven years of my life. I’m 42 now and it took some pretty radical paradigm-shifts to get here. From what I understand, the only valid iodine test is the 24hr iodine-loading urine test. In the US I think there is a place called Hakala Labs. who do this. I’m not in the US, but there is a clinic here in Melbourne called the Lucy Rose Clinic who do it. I haven’t had it done fwiw; the knowledge that we’re all mightily deficient was enough for me to throw my thyroid in the deep end (-though starting slowly and carefully with all companion nutrients). I certainly don’t regret it! And will highly recommend it to anyone who’ll listen. Thank you for this information. I would like to learn more. Did you have normal thyroid functions? Well- I can’t say definitively because I didn’t have the test. However, throughout the last seven years when I became pregnant with my son, I turned away from conventional eating habits , deciding to trust Weston A. Price’s ideas while watching my health bloom, and from there began to question EVERYthing. Having been prescribed a few toxic pharma meds in the past I thought it best to stand my ground and do my own research. I’m a great believer in *cautious and well-researched* experimentation. But after my daughter was born almost two years ago, I had a few major blow-outs- emotional types where I could barely draw breath. While my husband said it’s fair that a couple with zero help, while building a house over an hours drive away, in a new country, with a newborn and cooking everything from scratch is not normal conditions, I begged to differ. So adrenal fatigue seemed to be a fairly reasonable diagnosis. A few lengths of research later, iodine popped back up for full body function and something like 95% deficiency throughout populations globally. I remember having done a trial run with Lugol’s in the past, and tried it again WITHOUT ALL the companion nutrients and had the original speedy response- heart palps, shallow breath etc., which is why I’d stopped taking it. Joined the FB Iodine groups in Jan. ’15 and they directed me to some books which I devoured, and the general consensus was indeed adrenal fatigue>> directly related to iodine deficiency. I’ve learned eons of invaluable information since late Jan. from the FB groups. There are many folks like me who are slightly batty yet intrepid and have lost all faith in the med.scheme, but once in a while people like you and WJ Walsh ramp up a bit of hope. What a journey you have been on! Thanks for the good wishes! Thanks for all of this wonderful material, Dr. J.T. Really, thanks. Caring and candid are not always cozy bedfellows; you make for a peaceful slumber. My own study (for the last 5 years) has been focused on iodine, and its subclinical deficiencies throughout life, with a particular worry about the next generation (and therefore pregnancy, pre-pregnancy and lactation). Most reliable researchers will say that the “paint iodine on the skin” go/no-go test is unreliable for many reasons; I suspect it is. Until recently, we relied on the 24-hour (collection period) Urinary Iodine Concentration tests (UICs), which can provide a useful snapshot of iodine sufficiency. I say “until recently” because the work of several researchers, among them Prof. Purnendu Dasgupta (Univ. of Texas/Arlington) demonstrates clearly that competing halogens (esp. F, Cl, Br), as they are far lighter in atomic weight, compete (successfully) against iodine for uptake at the key cellular interfaces…the “NIS” or Sodium Iodide Symporter. My own answer is to generally follow what is successful for many Japanese – inhibiting core cancers (breast, uterine, ovarian, cervical, prostatic) – and generating a calmer, reasoned, introspective life’s approach. 6-12 mg/day of iodine (I use 2.2:1.0 molecular iodine:potassium iodide). No cell dies or is born without a molecule or two of iodine; with 2 billion deaths and replacements daily, we need iodine if only for cellular turnover without genetic and epigenetic mishaps. Yup, surely agree on the microbiome statement; has to be true, since “our own” genetic material is a small fraction of the microbiome’s. More to come, if anyone wants further commentary. Blessings abound! Great blog. Thank you for your kind words and your comment, which I found fascinating. Dr. Natasha Campbell McBride recommended paint iodine on the skin. Its really interesting to know that it is not reliable measure. Is there any down side to taking 2.2:1.0 molecular iodine:potassium iodide? Would it be safe for patient’s with thyroid conditions? Thanks again for writing. You are kind to ask, Doctor, and I am a mere novice researcher, surely not an experienced clinician or a lifelong researcher….So, in that context, some potentially interesting and hopefully worthwhile thoughts (keeping in mind that any guidance must occur in the context of a thorough physical exam, careful medical and family history, and comprehensive blood work for all possible elements of thyroid and thyroid-related chemistries (including all reverse hormones)). The neurogenesis of thyroid issues can begin very early – during pre-pregnancy, in fact, according to the most reliable sources. Mild thyroid deficiency during development (and demonstrably, in humans just before fertilization’s first seconds) permanently (yup, permanently) damages the hippocampus, seat of emotion, memory and spatial navigation. (See Endocrinology. 2016 Feb;157(2):774-87. doi: 10.1210/en.2015-1643. Epub 2015 Nov 25. Mild Thyroid Hormone Insufficiency During Development Compromises Activity-Dependent Neuroplasticity in the Hippocampus of Adult Male Rats. – Gilbert, et al.) Can we “cure” problems after they arise? Maybe. Downside to iodine intake? Whether a patient has Graves’ or Hashimoto’s, which arise via iodine imbalances, often deficits (unless genetic or, more complexly, epigenetic), iodine can indeed help regulate all of the various NIS mechanisms, now shown to be present in all (!) endocrine organs, and most (possibly all!) exocrine organs. NIS is present pretty much everywhere (e.g., the 8-10,000 salivary glands, minor and major) contain the 2nd largest reservoir of iodine in an iodine-sufficient individual. (Who knows that? If your physician doesn’t, maybe time to help them become aware of it.) The simple answer is that careful management, by a knowledgeable endocrine specialist who has worked extensively with thyroid problem and euthyroid patients, and those who are apparently euthyroid (again, neither UIC nor TSH measurement are reliable; and there may be today no reliable measure of iodine sufficiency except heuristically) is the person to consult. Yes, too much iodine too quickly has been shown to damage the thyroid itself. Cautious dose increase is the most reasonable way t o avoid damage. How does the patient FEEL? How look? Dr., you so clearly grasp this paradigm, but not all clinicians have the weight of experience, time, or patience, or humility, to actually ask the key questions that may unveil the answer(s). As you have said so well, it’s enormously complex. But I would add in closing (apologies for prolixity), quoting Dr. Michael Zimmerman (who probably knows more about this than anyone on earth), “the dangers of too much iodine are far outweighed by the dangers of too little.” Still, one must be careful, very careful. The Japanese typically intake 6-12 mg. of iodine daily; our RDA is 150 mcg! (That standard is nearly 100 yrs. old.) They do NOT experience “iodism.” We need to re-evaluate our RDA, and quickly. The U.S. was once #1 in world I.Q. ; today we’re about #19. I personally blame iodine insufficiency, and environmental intake of halogenated competitors to iodine at the NIS interface. (But again…what do I know? I’m a humble thinker, nor a doc or a qualified researcher.) Thanks for the query. I hope the answer is useful. Wow, thank you. You are incredibly knowledgeable. Its undoubtedly extremely complex and of course there is a wish to do no harm. Sometimes I worry that we do not really know about the ramifications of our interventions. Just wanted to point out that I believe you have it the wrong way round with folate found in plants and folic acid in supplements. https://youtu.be/Y9wycIMrDKo Let me know what you think. Thank you, Sky. I corrected it. The folate/folic acid debacle is a precise, depressingly accurate example of Dr. JT’s writing “Sometimes I worry that we do not really know about the ramifications of our interventions.” Every darn bag of flour and rice, by REGULATION, must have folic acid…and now, solid research indicates a compelling link between folic acid and cancer. WebMD wrote, in 2009! “Nov 17, 2009 – Folic acid and B12 supplementation was associated with a 21% increased risk for cancer, a 38% increased risk for dying from the disease, and an 18% increase in deaths from all causes. This finding was mainly driven by an increase in lung cancer incidence among the folic acid and B12-treated patients.” Huh? are we kidding?? The self-same regulations we put in place (well, FDA put in place) to reduce NTD (neural tube defect) seems to cause various cancers: “In one study conducted in Norway, which doesn’t fortify foods, supplementation with 800 mcg of folic acid (plus B12 and B6) daily for more than 3 years raised the risk of developing lung cancer by 21%. Another, in which men took either folic acid or a placebo, showed those consuming 1,000 mcg of folic acid daily had more than twice the risk of prostate cancer. ” Same for fluoride in drinking water….a much longer, much uglier, and much more dangerous story (fluoride successfully competes with iodine for uptake throughout the body’s endocrine and non-endocrine organs). Result: iodine deficiency even if you’re taking enough iodine. Result: decline in children’s I.Q., increases in ADHD, autism, poor behavior, lack of concentration…. long list. Dr. JT says it clearly. We shouldn’t monkey around with stuff unless we really study FIRST the possibility of unintended consequences. In my professional life, I ran a water lab, which discovered vast quantities of lead in drinking water (from solder joints in copper pipes). I personally sent the draft EPA report on lead-in-water (they weren’t going to release it!) to every major newspaper, forcing the EPA to disclose a national problem….Congress acted swiftly, heads rolled, and the regs were changed. Folic acid, fluoride, lead, over-chlorination of drinking water, perchlorate in irrigation water, sugared drinks, climate change and red meat – we seem to ignore sensible balance. You are exactly right about the folate issue. So many psychiatrists now prescribe folate on the basis of genetic testing which diagnoses MTHFR, which can be very harmful to some patients. I also completely agree with everything else you wrote. It also happens with our ecosystems. The release of unwanted pet pythons into the Florida Everglades has resulted in the eradication of all mammalian life there. I wrote a blog post about this a few years ago: https://www.judytsafrirmd.com/koyaanisqatsi-life-out-of-balance/. Thanks for all your truly wonderful thoughtful comments. Judy, I’d love to connect with you. We have virtually zero psychiatrists in NH trained in this practice. I’d love to have a way to refer people to you. Hi Heather. Please get in touch with me and we can talk about collaborating. Thank-you, so helpful! I’ve been eating a nightshade free, low oxalate, salicylate, amine, fructose, sulphur, etc. diet and recently stopped eating lentils due to it being a high folate food since I suspect I am a high histamine=undermethylator. I tried reintroducing white rice yesterday and would appreciate other people sharing what they eat. I eat 5 meals, appx 1450 calories, 180 protein, 53 fat, 55 carb includes 18 fiber. I drink only water, eat farm fresh, not soy fed turkey and chicken cooked in a pressure cooker to make low amine bone broth, currently only occasional grass fed beef, salt is the only seasoning, goat butter, 2 oz lettuce juice, choko/chayote or kabocha squash, rutabaga, sprouted peas, processed in a Nutribullet since I have motility issues. I use a pendulum to help guide me and analyze data here: http://nutritiondata.self.com/. I use Enzymedica digestive enzymes and some other vitamin & mineral supplements. I don’t use salicylate on my skin since I follow Dr. St. Amand’s guaifenesin treatment for fibromyalgia that was diagnosed in 1995. At least part of my problem was overexposure to carbon monoxide partly due to using a gas stove and having a 1968 mobile home furnace. (Detector’s and inspections aren’t good enough for some people) See Theron Randolph’s book Alternative Approach to Allergies for more info. Fascinating. I will have to investigate. Working with a doc has produced good results for my spouse who seems to be an “0ver-methylator.” However, every now and then he gets a “disconnected” feeling and I am not sure what this means. He has stopped taking the supplements for a few days to see if that helps. Does this sound familiar to anyone? Where do I find practitioners that work with over/undermethylation in West Australia? Look on the Walsh Research Institute website. They have a page with a list of practitioners. Dr. Walsh’s work is very popular in Australia. He goes there yearly and does trainings of doctors. It is much more well known there than in the USA. We have at least three maybe four doctors who have trained with Bill Walsh in Western Australia. If you go to our website http://www.biobalance.org.au you will find them there. This is so complex. But I believe that it is all intimately related, and plan to try and think about it in a future blog post. Histamine intolerance is fundamentally a problem with the gut, which is very impacted by detoxification, which is a function of methylation. Its all connected. I think anyone with gut issues should get tested according to Dr. Walsh’s method. I think you will need to find a Walsh trained physician. Conventionally trained MD’s and even most alternative practitioners are not aware of this work. Dr NCM (gaps) recommends those with histamine issue also follow her diet. States the histamine issue will resolve as the gut heals. The protocols involves high doses of B vitamins, zinc and anti-oxidants and methionine and SAMe for undermethylators and folate for overmethylators. Dr. Walsh has been very clear that he does not wish for the specific protocols to be published with dosages because he fears that it may not be safe for someone with insufficient training to work with them. I am in conflict about this, and believe that it may be more appropriate to provide the information, and assume that everyone knows that its a matter of proceeding at your own risk. Out of deference to him, however, I am not writing about the specific dosages and supplements. I believe it is his work and his call. I am so sorry. Thanks Judy for following up with this topic and your own observations…’thankyouverymuch’. is the best (but not sure) to define. Perhaps one of the most difficult words to interpret in a short space. Susan’s frustrations are in the mainstream. I, and ‘zillions’ of others can relate. We need to forget the Politics and past. Listen to people like yourself and look for real treatments and results. You are very welcome. I have felt confused by MTFHR for a really long time. I intuited that it was really important, but could never make sense of the whole issue until I heard Dr. Mensah discuss it last October. The link you sent is so great. Usually when I read about methylation my eyes begin to glaze over. That description was so accessible. I know I am going to use it as a reference and return to it again and again. Thank you! Judy…you’re writings from your studies are so wonderful to read. I wish we lived closer so I could have you as my practitioner. As it is, I’ve seen likely 20 different mixes of MD, or Naturopath to environmental MD…none of which helped AND none of which focused on diet at all. Shocking I think. I have been taking MTHFR supplement for awhile now which has helped tremendously with detox. Noted from the sx you mention, I have been doing the right thing. I will be interested to read others response to your latest blog.. It is shocking and really just plain weird the kind of “care” that is out there. Glad to hear that things seem to be heading in the right direction for you in terms of your health. It can be quite a journey!